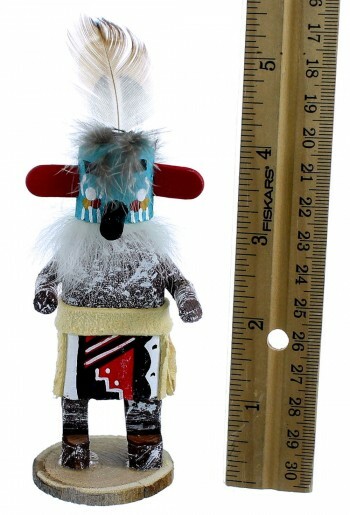 Kachina is approximately 4-1/8" tall including a 1/8" base and is 1-5/8" wide at widest points. The Morning Singer appears at dawn to wake the village, he sings beautiful songs and announces the news of the day. 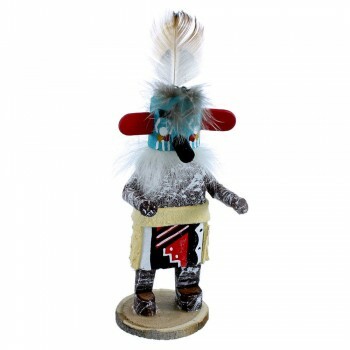 This Kachina doll was hand crafted by Navajo artist I.J. The Kachina doll is signed by the artist.